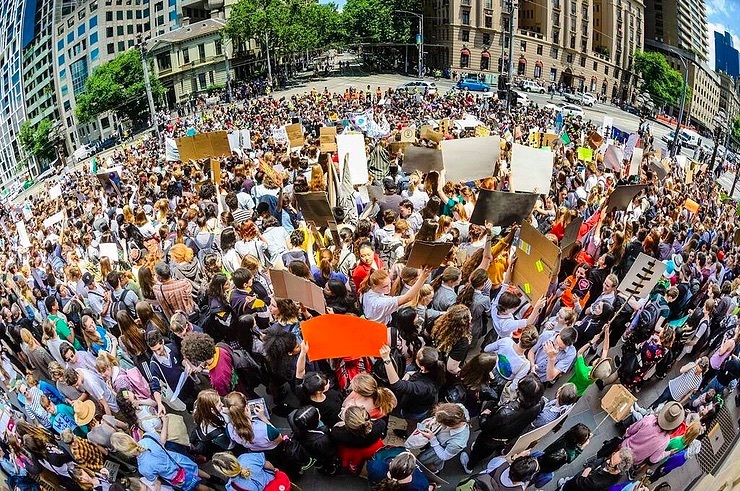 In an Australian-first, as the nation experiences unprecedented fires, drought, heat and storms, thousands of students from hundreds of schools across metropolitan and regional Australia are today [30th November] striking from school to demand their politicians act urgently to stop further dangerous climate change and the Adani coal mine, which threatens their future. 30 major strike events are taking place across the country, in every capital city and almost 20 regional centres including Townsville, the Whitsundays, Inverell, Coffs Harbour, Ballarat, Newcastle and Bega. Instead of going to school, students will today be at their nearest Parliament House or Federal MP’s office for the day. See the full list of strikes taking place here. Student spokespeople can be made available for interview, and links to vision and stills can be found below. In a week of storms, fires and record heat: On Monday, Prime Minister Scott Morrison used Question Time to urge students not to join the strike. On Tuesday, the Senate passed a motion in support of the strike. On Wednesday, over 200 student strikers flooded Federal Parliament to meet with MPs about climate change. On Thursday, Adani announced it has funding to push ahead with its coal mine which is a key target of the students. Inspired by 15 year old Swedish student Greta Thunberg, who has been striking outside the Swedish Parliament since August, year 8 students from Central Victoria brought the initiative to Australia and have been striking in Bendigo a day a week during November. As a show of support for the Australian strike, students in Sweden, France, Norway and Finland are also striking this week. Students plan to continue strike action after the summer holidays and ahead of the Federal election. Many are organising meetings with their Federal Politicians to call for an end to the Adani coal mine, no new coal and gas projects and a commitment to get Australia to 100% renewable energy by 2030. Photos from the walk-outs will be uploaded HERE with November action pics. Vision from the walk-outs will be uploaded HERE.